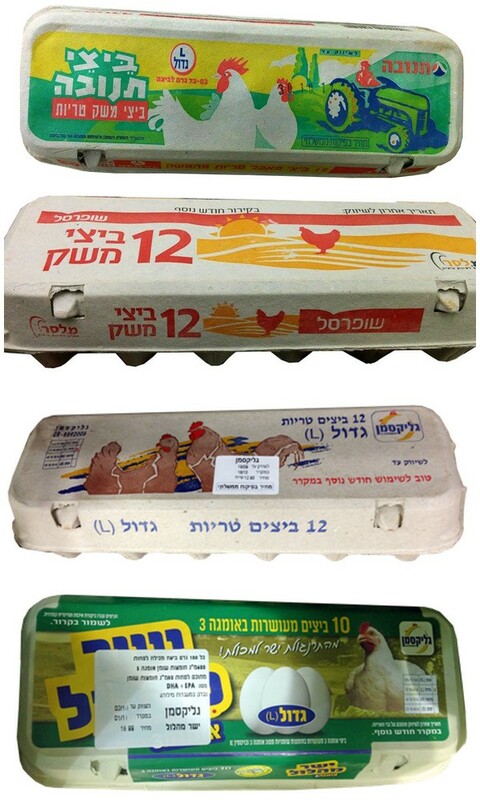 Israel Consumer Council has turned to the Consumer Protection Authority regarding suspicion of deception in eggs boxes. Consumer Council has recently conducted an investigation of packaged eggs distributed by three companies: Tnuva, Glicksman Farm and M. Lasser LTD Cie. The investigation revealed that the companies marketing the eggs make false representations that might mislead the consumers in violation of the Consumer Protection Law. The photos and illustrations displayed on the packaging, present a picture that is radically different from the real conditions in which hens are held. Consumer Council CEO, Adv Mr. Ehud Peleg, says that the deliberate attempt to present to the public the picture shown on packaging, that is radically different from the conditions in which the hens are held, raises suspicion of deception to the public and to animal lovers for profit purposes, where true facts are generally not presented. In this case, says Peleg, the distributors add even more to their sins since they turn the public to partners against their own will and without their knowledge in cruel practice towards animals. The position of the Consumer Council is that images and text (showing sometimes smiling and happy chickens in green pasture) are likely to mislead the consumers and to make them believe that those eggs have been laid by hens that are not locked up in crowded cages but by hens that enjoy freedom of movement, laying eggs on natural substrates and more lovely conditions, unlike the actual ones. It is important to clarify that battery chicken farming is the most frequent industrialized method of eggs production in the world, in which thousands or even tens of thousands of laying hens are held in packed cages, arranged in several floors preventing any contact of the hens with the natural ground, free movement, nesting or incubation, and the like. This method of growth causes much suffering to the birds since they are restricted in their movement and their ability to spread their wings, and often leads to substantial injuries due to the density and the friction between them. This is why the whole world attempts to find an explicit labeling on the packages informing the consumers about the way the hens are grown.